- Fully portable, robust and full featured compack carry bag is ideal for the professional, hobbyist or at home photographers. 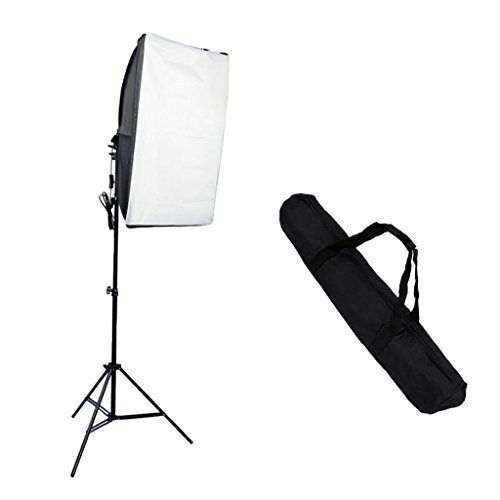 - Application - This professional soft box lighting kit is widely used to shoot clothing, models, footwear, bags, ceramic, etc. It is the perfect solution for studio and portrait shooting. - Light source can be free to control, high temperature，It will work better with backdrop support kit. There's no padded compartments inside, so don't carry it out with your expensive equipments for a long way. Fully portable, robust and full featured compack carry bag is ideal for the professional, hobbyist or at home photographers.